Please enjoy “Antony” in preview. Alexandre Dumas, born Dumas Davy de la Pailleterie ; 24 July 1802 – 5 December 1870), also known as Alexandre Dumas, père, was a French writer. His works have been translated into nearly 100 languages, and he is one of the most widely read French authors. Many of his historical novels of high adventure were originally published as serials, including The Count of Monte Cristo, The Three Musketeers, Twenty Years After, and The Vicomte de Bragelonne: Ten Years Later. His novels have been adapted since the early twentieth century for nearly 200 films. 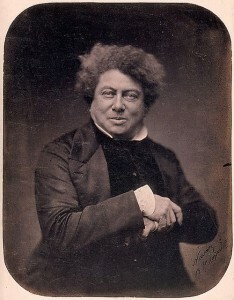 Dumas’ last novel, The Knight of Sainte-Hermine, unfinished at his death, was completed by a scholar and published in 2005, becoming a bestseller. It was published in English in 2008 as The Last Cavalier. With the famous words of this fall of the curtain, Antony, hero of the dark eyes that killed his mistress Adèle, fascinated for a certain time the young French generation since 1831. Antony staged for the first time on 3 May 1831 at Porte Saint-Martin made the record of exceptional continuous performance by the theatrical situation at that time. The drama has a hundred and thirty consecutive representations in Paris: one hundred at the Porte-Saint-Martin, thirty at the Odeon, one at the Italians. It is played from one end of France to the other, by Bocage, and by Marie Dorval; Representations at first stormy, in 1831, then triumphs from 1833 to 1837. 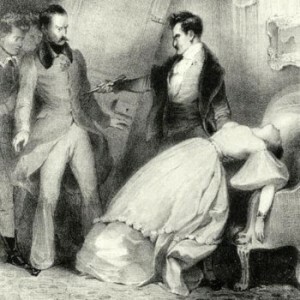 I am not sorry, “he said (Alfred de Vigny),” that the melodrama has made its re-entry into the literary world, passing through a salon of 1831 .. .. The fact remains that the success of this drama is One of the most beautiful that can be seen, and that each representation resembles a feast given by twenty fairs assembled. Curious discussions, and somewhat similar to what ought to be those of the courts of love, In each lodge, from one lodge to another, between young women and “I hear,” I said, in the whole room, conversations in a low voice on the great chivalrous question, the eternal question, that of devotion in love. May Monsieur yield to Madame or Madame To Monsieur, both have yielded to the influence of Antony. Oh! Beautiful art of the stage, if you correct the morals, it is not laughing this time. No, we do not laugh; We weep little; But we suffer a lot when seeing this drama …. The old-fashioned adulterous drama seen by our eyes today, how to be designed, why have brought such an enthusiastic response? I wrote the rest on the blog, so please read it. 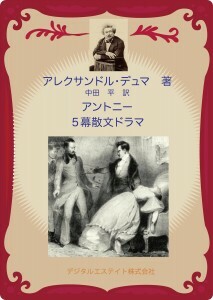 Original book can be downloaded for free at Google Play Books. The paid book is not only in Google Books, but also in iBooks. To study the French would want to read while comparing the original text and the translation.